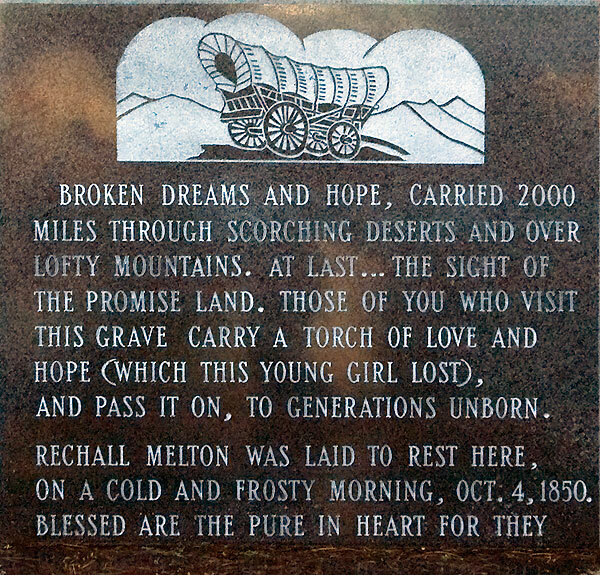 It is said that in 1850 a young girl, Rachel Melton, native of Iowa, was accompanying her parents on a journey West via covered wagon train when she became violently ill. Camp was made and every effort was made to cure her, as she was the joy of the party, but she passed away and was buried on this spot. Broken dreams and hope, carried 2000 miles through scorching deserts and over lofty mountains. At last...the sight of the Promise Land. 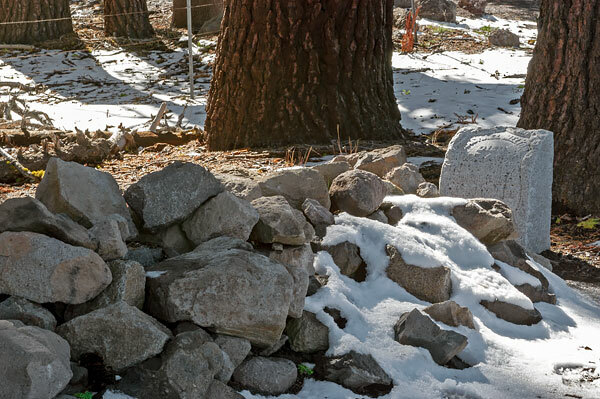 Those of you who visit this grave carry a torch of love and hope (which this young girl lost), and pass it on, to generations unborn.